Introduction | Donna Wisniewski, Realtor 410-991-7305 donnawis@longandfoster.com Donna Wisniewski helps people buy and sell homes in Annapolis, Anne Arundel County, and Queen Anne's County, Maryland. Homes include houses, townhouses, and condominiums. Welcome to the premier resource for real estate information and services in the Maryland area! I hope you enjoy your visit and everything our website has to offer. Looking for a house, land, or other property? You've come to the right place! Our extensive experience, use of advancing technologies, and team approach position us, Champion Realty, to be the best realtor for you. Below you will find information about my individual qualifications and performance history as a realtor. If you're anxious to look at active listings and would like to start doing so privately, feel free to use the above very user friendly search tool. If you would like me to follow-up with you, please click the above ‘MORE’ tab and complete the ‘Contact Me’ section. 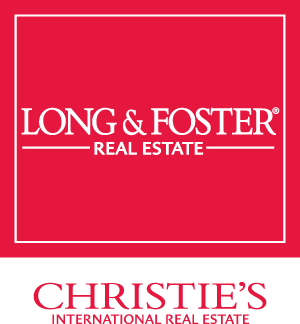 If you would like to make immediate contact, call 410-991-7305 or email me at donnawis@longandfoster.com. I respect your privacy and will tailor my communications to meet your personal preferences. Specialization: Residential Sales / Waterfront Specialist; Anne Arundel and Queen Anne's Counties; most notably Annapolis, Arnold, Glen Burnie, Pasadena, and Severna Park, as well as Chester, Grasonville, and Stevensville. Experience: Independent and Company-based real estate veteran for 40 years, nearly 20 with Champion Realty. Accomplishments: Inducted into Champion Realty's Hall of Fame and recently (July 2017) honored as a 'legend' for sales exceeding $100 million in real estate. Business Philosophy: Because buying and selling a home and other property are major financial and other life-impacting events, it’s imperative you get an agent who is caring and knowledgeable of your needs and area of interest.